Lutronic CLARITY is a dual wavelength platform combining long pulsed 755 nm Alexandrite and 1064 nm Nd:YAG. 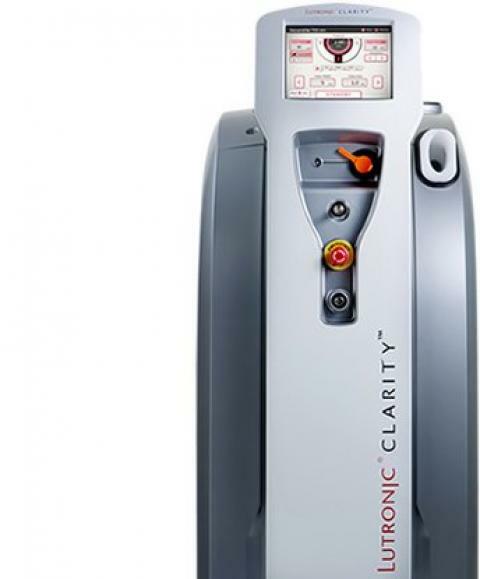 CLARITY’s advanced features enable treatment versatility and greater speed. Clarity circgraphA high repetition rate and large treatment spot empower CLARITY users to permanently reduce unwanted hair with unprecedented speed, allowing clinics and centers to perform more treatments and maximize their return on investment. CLARITY's highly efficacious treatment options are rooted in the delivery of high peak power laser energy, in short pulse widths. 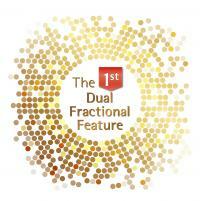 The Flat Top beam profile provides consistent treatment for more predictable outcomes. 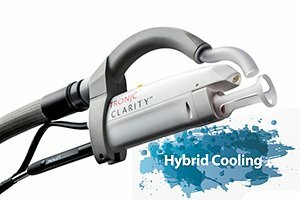 CLARITY’s dual wavelengths permits the treatment of all skin types and its advanced features provide multi-treatment opportunities enabling centers to treat a larger range of applications; physicians may permanently reduce unwanted hair, ameliorate the appearance of pigmented and vascular lesions, and rejuvenate the skin with multiple treatment options. Hybrid Cooling(Optional), available on ICD model, provides optional dual cooling for added patient comfort.